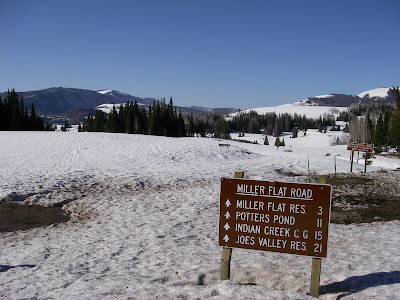 Starting at the turnoff between Huntington and Cleveland Reservoirs in Central Utah (along Hwy 31), Miller Flat road provides access to Joe's Valley when it links up with Hwy 29. There are several gates along this improved gravel passage and they tend to stay locked until at least Memorial Day, often later. When the gate is unlocked, the road provides access to a long, narrow valley (Joe's/Upper Joe's) and its surrounding attractions. 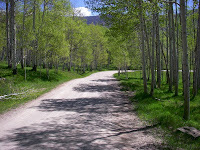 Camping, fishing, and ATV riding are all very popular along this corridor and the country it cuts through is astounding. 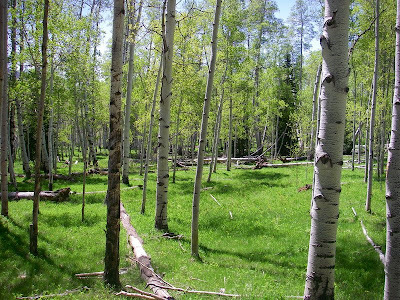 It's a great place to melt away the stresses of modern life. 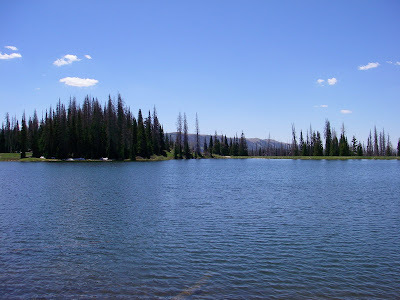 As the sign at the north end of the road stated, Miller Flat Reservoir is just 3 miles to the south and provides fishermen with a 7 mile hike-in canyon below the dam. This creek is known as the Left Fork of Huntington Creek. People I know that have fished it say that the fishing is good for medium sized brown trout and cutthroat. The best fishing, as one could imagine, is a ways in, past the first mile or two. Miller Flat Reservoir is a medium sized impoundment that gets drawn down quite a bit, annually. 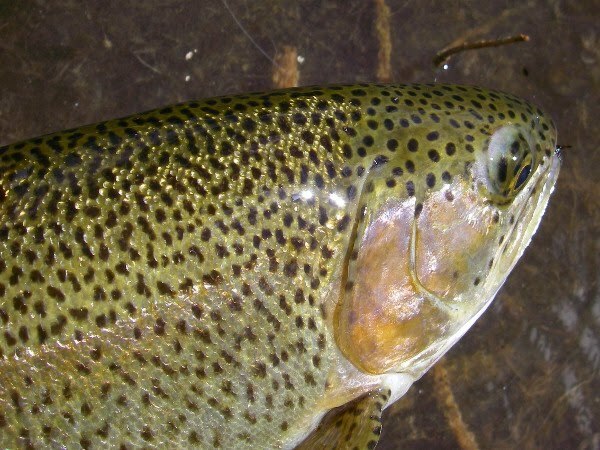 Most fish are a little larger than the average planter rainbow, but rumor has it that some rather nice fish can also be caught here. I know I've had something nice get away from me. 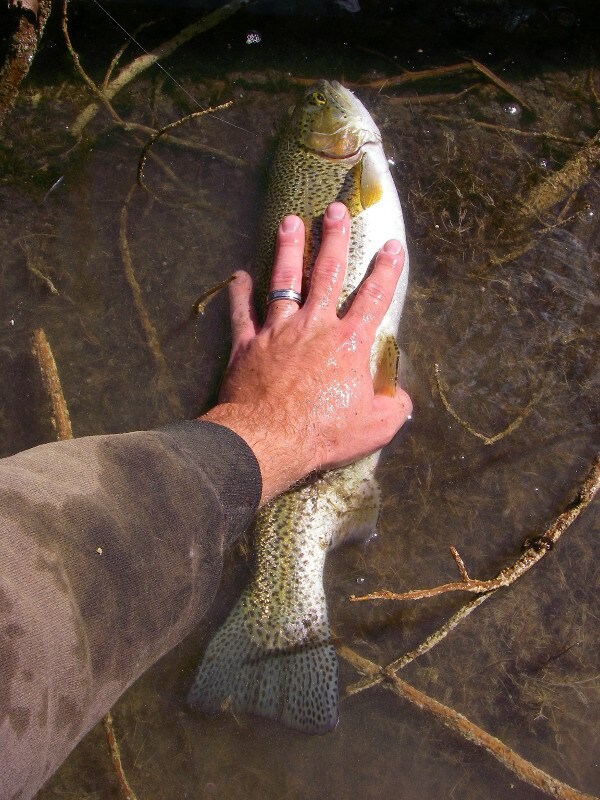 My catches have been smaller rainbows, but I believe there may be a few tiger trout and some browns in there as well. 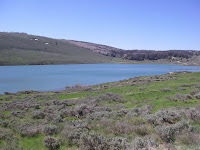 Nearby and to the north, Rolfson Reservoir is nestled back in the hills. I never fished it in the past, due to my lack of a 4x4 and the distraction of some very fishy waters nearby. Now that I have a 4x4, I'll be sure to l0ok into it and update this section when I do. Someone I know states that there aren't any fish in it, but I have a hard time believing that, given the nature of the region. Continuing south for another 8 miles or so from Miller Flat is a turnoff to Potter's Canyon to the west and ascending to Skyline Drive along the ridge. 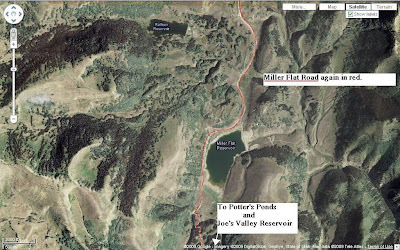 Just a few turns up that road and Potter's Ponds appear to the left. 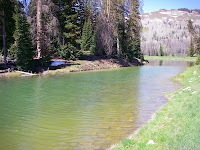 There are two ponds separated by a thin strip of land and about a 5 foot difference in elevation. 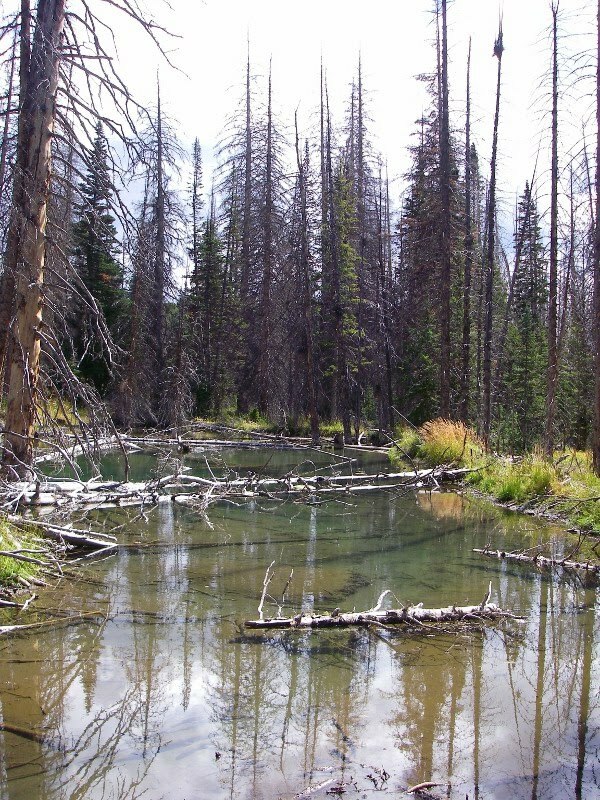 Both ponds are quite shallow throughout, especially the one to the west, but both receive ample stockings of planter rainbow trout that grow quickly and provide entertainment to the hoards of visitors to this little spot. 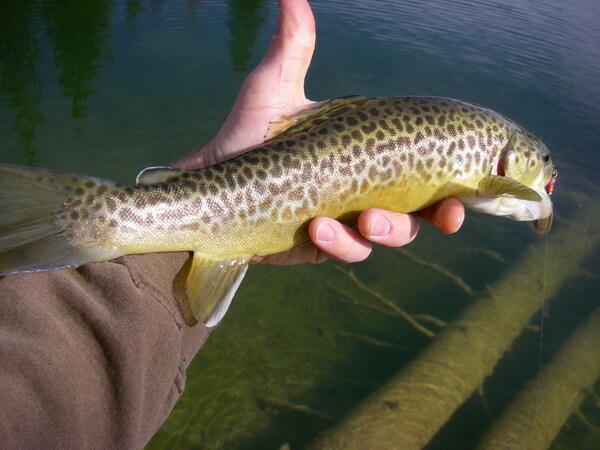 Somehow, I caught a tiger trout out of Potter's one day in '09. The stocking reports have only rainbows listed for the ponds, but it was a welcome surprise and it fought well. It sure is a pretty area though. 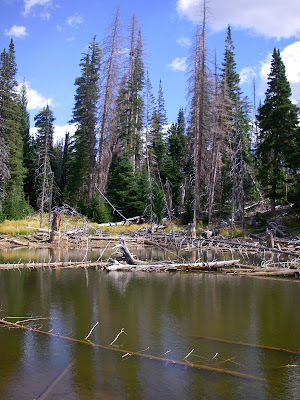 These ponds are reminiscent of high mountain lakes in the back country. Potter's Ponds are great for visiting on the way to Joe's Valley Reservoir and may hold some surprises. 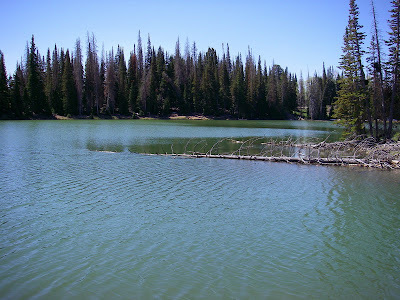 There are smaller ponds in the surrounding hills and the motivated angler may find a couple that have some very nice fish in them. September is a great month to visit because of all the color popping from the hillsides. The fall colors are spectacular and entirely worth a trip down Miller Flat Road. Like it? Hate it? Drop a line.